Our mentors are friendly, experienced CoffeeScript developers who will help teach you new techniques and tricks. 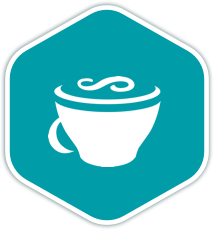 Once you join the CoffeeScript language track, you will receive support and feedback from our team of mentors. Here are the bios of a few of the mentors of this track. From discovering Coffeescript during my time learning Ruby on Rails, to loving it. I've been using Coffeescript to build personal projects for over 4 years now. I have written CoffeeScript as part of various JS frameworks, open source projects, and profesionally. I've also taught CoffeeScript via webinar and tutorials that were part of my weekly dev-based webcast. Please feel free to ask me any questions! These are a few of the 21 exercises on the CoffeeScript track. You can see all the exercises here. Get started with the CoffeeScript track. As with everything on Exercism, it's 100% free!